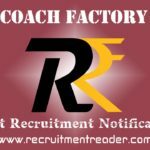 Latest Western Railway RRC Recruitment Notification 2018 – Western Railway Recruitment Cell (RRC-WR) has published notification for the recruitment against Sports Quota. WR announced 21 vacancies for the following sports disciplines, Hockey (Men & Women), Basket Ball (Men & Women), Volley Ball (Men & Women) and Weightlifting (Men), Power Lifting (Men) and Hand Ball (Men). Candidates who have eligibility as per RRC-WR Sports Quota Notification may apply online at Western Railway Recruitment Cell website. The online application link will be activated from 15.10.2018 @ 10:00 AM. The Last date to submit the online application is 15.11.2018 (10:00 PM). Before apply for the Sports Quota, candidates should ensure that they fulfil the eligibility criteria given in the advertisement. Also be aware of detailed vacancies, sports qualification, compensation, selection process and application process from the advertisement. The online application link will be deactivated after the last date. So, submit the online application on or before the last date. For Level 2 & 3 Posts, 12th standard. For Level 4 & 5 Posts, Graduate in any discipline. Look into RRC-WR Sports Quota Notification for more details of qualification. For Unreserved candidates, Rs. 500/- (Rs. 400/- Refundable to candidates appear for Trial). For SC/ ST/ EX-SM/ Women/ Minorities/ Economically Backward Class candidates, Rs. 250/- (Refundable to candidates appear for Trial). 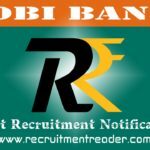 Logon to Western Railway Recruitment Cell website. Find notification for Sports Quota (RRC/WR/02/2018). Find upcoming Western Railway Recruitment notifications @ Recruitment Reader. 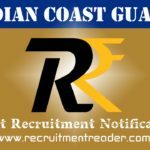 For more details regarding Western Railway RRC Recruitment Notification 2018 logon to www.wr.indianrailways.gov.in. The information given above is based on the Western Railway official advertisement. 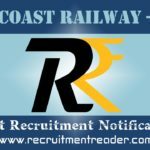 Latest Western Railway RRC Recruitment Notification 2018 – Western Railway (WR) has published notification for the recruitment against Cultural Quota. WR announced 02 vacancies, one vacancy for Harmonium Player and other one vacancy for Violin Player. Candidates who have eligibility as per RRC-WR Notification may apply online at Western Railway Recruitment Cell website. The online application link has activated from 01.10.2018 @ 10:00 AM. The Last date to submit the online application is 31.10.2018 (10:00 PM). 12th Standard/ 10th standard + ITI. Degree/ Diploma Certificate in Harmonium/ Violin. For Unreserved candidates, Rs. 500/- (Rs. 400/- Refundable to candidates appear for Written Test). For SC/ ST/ EX-SM/ PWD/ Women/ Minorities/ Economically Backward Classes candidates, Rs. 250/- (Refundable to candidates appear for Written Test). Find notification for Cultural Quota (RRC/WR/01/2018). 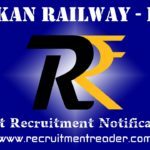 For more details regarding Western Railway RRC Recruitment Notification 2018 logon to www.wr.indianrailways.gov.in. The information given above is based on the Western Railway official advertisement.